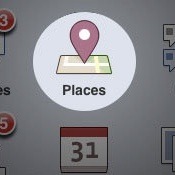 Facebook Launches Location Service Called “Places”. Update Coming to iPhone App Tonight ! At the Facebook HQ in Palo Alto, CA, Facebook CEO and Founder Mark Zuckerberg, along with other developers, engineers and partners at Facebook announced a new location based product called Facebook Places. This is essentially a check-in service like Foursquare and Gowalla that allows you to check-in to places that you have been to share it with all your Facebook friends and family. You will be able to see which of your friends are currently at the same venue and which of them have been there. 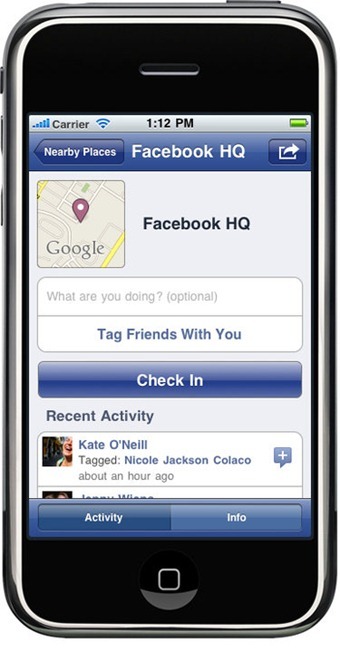 There is also going to be an option which will allow you to tag your friends into places you check-in. Of course you can change all that in your privacy settings and by default only those who are friends with you on Facebook will be able to see your check-ins. Facebook is also going to keep a complete history of check-ins that you have made at a dedicated page on web. Existing location based service players like Foursquare, Gowalla and Yelp have all been announced as partners. What this means is that you will still be able to use these services, but they will now integrate with Facebook Places, allowing you to publish your data to your Facebook wall. Starting from Tomorrow, Facebook will be rolling out this service worldwide on the web. iPhone users have been given the first priority for the integration of Facebook Places, and so a new update to the existing Facebook for iPhone app will be released later tonight which will have seamless integration with this new feature. Others will have to use it via the touch.facebook.com mobile site. This is going to be big, given the huge 500 million users which Facebook possesses. We, here at Redmond Pie are certainly excited about it! Let us know your thoughts on this new Facebook service in the comments section below. Not available in Switzerland atm. Just got the update around 1:45 am eastern time. Every feature returns an error. Logged out and tried to log back in, error. Hopefully fixed in the am. I’m on an iPhone 4.
wow this app is perfect for the CIA!!! instead of locating us, we’ll just TELL them ourselves where we’ve been every second of our lives.